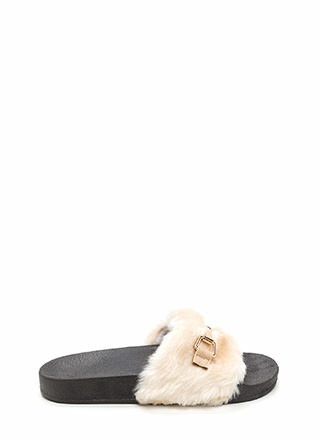 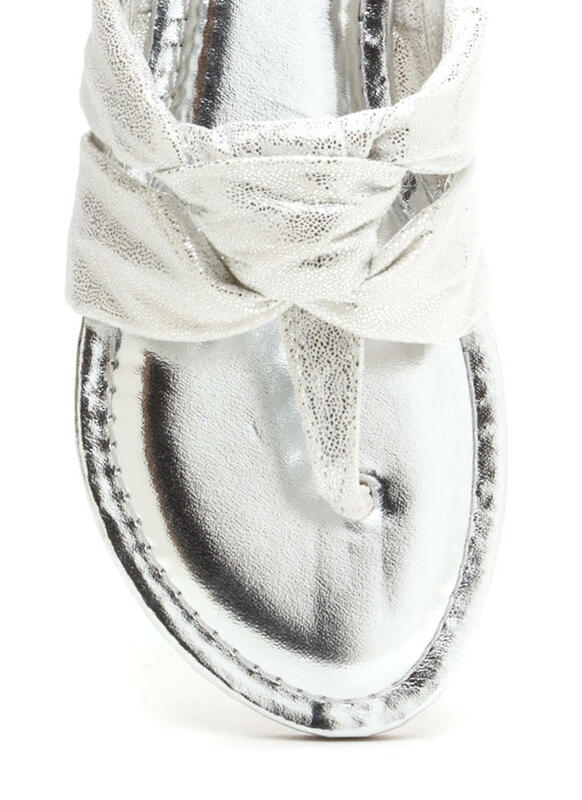 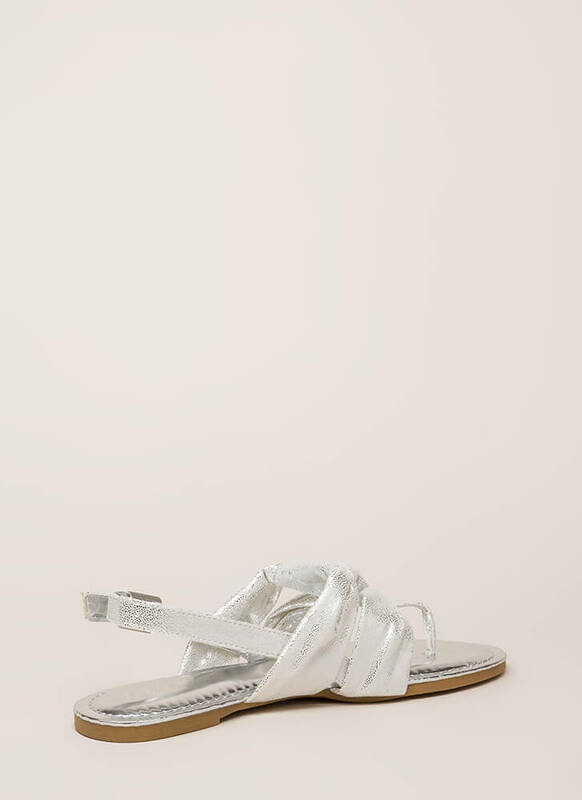 Knotted accents define the casual-chic aesthetic of these shiny sandals. 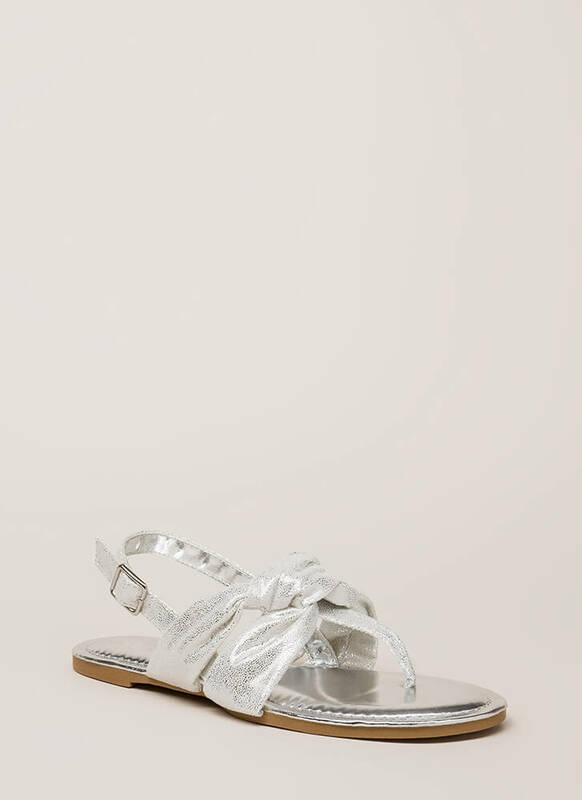 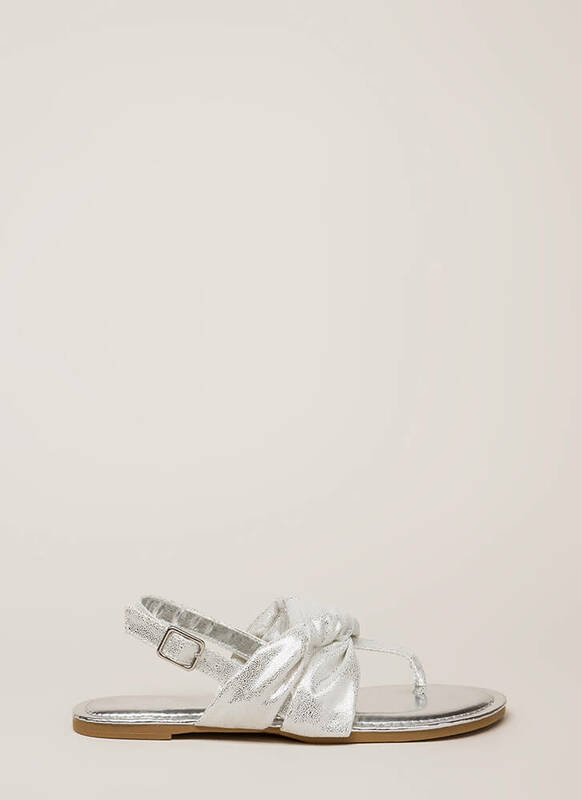 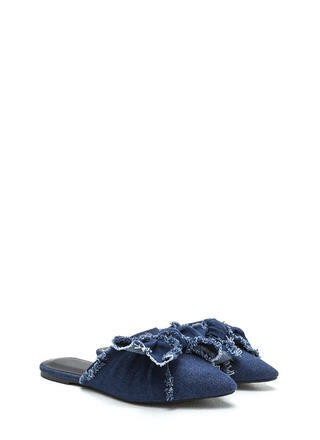 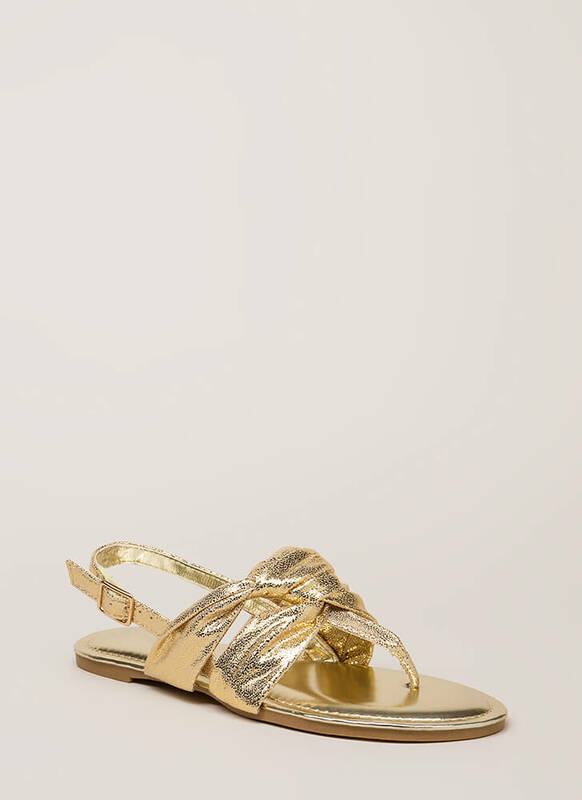 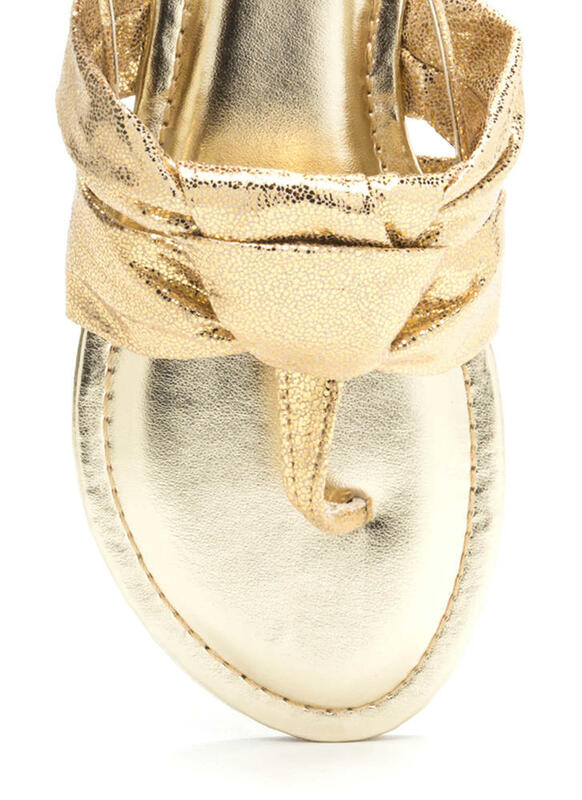 Crackled metallic sandals feature a tapered T-strap upper highlighted with wide, knotted vamp straps. 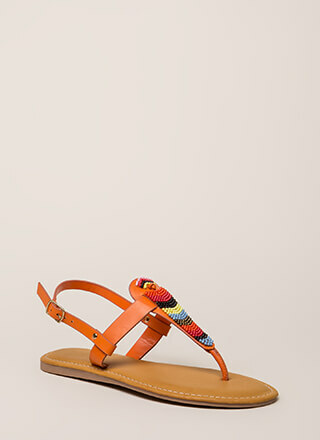 Adjustable slingback strap leads to a lightly padded footbed and a ridged sole.